Griffiths Family Farms has commissioned a two year research project in partnership with the Royal Veterinary College (RVC) under the guidance of leading animal behaviour expert Prof Christine Nicol, ahead of the decision by major retailers in the UK to only accept eggs from hens that aren’t caged by 2025. The research will focus on bird behaviour and will help the business to decide how best to house their hens in the future. Griffiths Family Farms owns Oakland Eggs, based in the heart of Shropshire, and produces around 500 million eggs a year and employs around 110 people. The firm was started in 1967 by Aled and Olwen Griffiths in 1967 and is now run by sons Gareth and Elwyn. 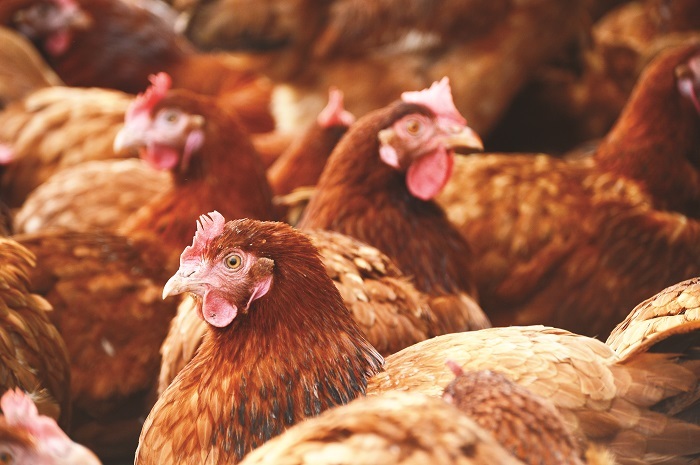 It rears pullets as part of its vast egg business, which also includes a full packing operation and processing facilities, enabling it to supply fresh eggs to the retail sector and products such as boiled eggs to caterers. “We are looking forward to working closely with Griffiths, this new study is the first of its kind in the UK and will allow the RVC to set new baseline standards for bird behaviours in cage free systems, something which we hope to replicate in Free Range systems in the future,” said Professor Nicol.